Speaking in the name of the administration team, I would like to begin this post by recalling one of our earliest mutual memories related to World of Warcraft. Wrath of the Lich King went live shortly after we got our first characters to level 70, and as unexperienced players, long did it take us to progress through Northrend. Although a bit time consuming and challenging, we have not given up on it; That is simply due to the fact that we believe this expansion has had the smoothest and most enjoyable content and progression. As many others do, we believe that it was the climax of what this game has provided for the community (maybe except Demon Hunters, but we postpone that for a later time). Years have passed, and ever since have we sought being able to experience that feeling again, and later being able to reproduce it ourselves for the others sharing our nostalgia. It takes a real player to understand other players’ needs and desires, and real passion for the game and the community to be able to deliver those; And so does our whole team feel. In the months that have passed since the extended team was assembled, we shared and implemented various ideas, while also playing around with a few extra concepts. Our lately formed QA & UX departments have constantly been providing feedback to the Concept and Development teams, in order to improve the gaming experience. Our perfectionist developers aim to provide solutions even to the smallest and least bothering issues, in order to guarantee the irreproachable. As a side note, our Support department is still looking to add a few extra talented and knowledged individuals to the team. Candorhal is trying to achieve an ultimate-complete experience based on the Wrath of the Lich King expansion, with content released gradually targeting an educational environment, while enjoying the quality time spent on our realm. How many times have we seen projects fail due to poor management and administration? For us, it has been too many times. Countless disappointments and bitter taste of seeing people with no vision and love for the game plummet promising projects straight into failure. 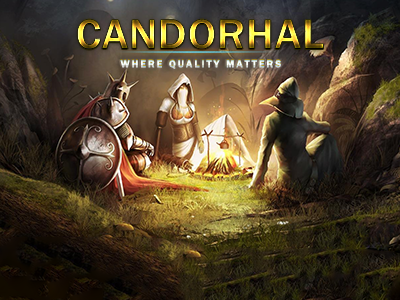 Project Candorhal’s concept was put together by people with both game and administrative experience who have been active in the emulating community for the past six years. We know what you want, we know how to do it, and we shall impeccably deliver. How many times have we seen projects fail due to lack of communication? For us, it has been too many times. Many people underestimate the value of community’s opinion, and therefore are unable to adapt their tunnel vision accordingly. We believe that shifting towards the needs and suggestions of our players should be one of the top priorities. Why? For the sole reason that you are the ones that keep communities alive, and we owe this to you. At the end of the day, it is you that commit to playing on a daily basis, and our duty to make the best out of this experience. How many times have we been given unrealistic expectations? For us, it has been too many times. We all know how hype is created around these communities. Based on marketing strategies that often lead to immense disappointments, when comparing the said to the done. We have the candor to provide you with just the materialization of our hard and honest work. And frankly, we like it like that. Starting frame at level 68, in Northrend. Our aim is not having to drag players through days of obsolete-content game time, and potentially have them quit, in order for them to enjoy what we promised. 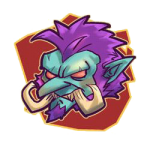 We promise quality WotLK content, and that is what you are getting from the beginning, however, no one is saying you can’t experience the previous content at the very same quality standards set by Candorhal. Starting conditions including all the needed resources, as if you would have just progressed through TBC. We provide you with adequate equipment, a ground mount, and other mandatory things in order to be ready to jump into battle. No gold, however, as we aim for a healthy and sustainable economy. Scheduled content release, influenced by community’s progress. There are many aspects that need to be decided with our community, things such as, Dungeon Finder, Profession Skills, Cold Weather Flying Price, Transmogrification and many more that we are sure, you lovely people know best. That is the reason as to why we invite you to visit our community and have a productive conversation so you can also take part in shaping this project, a project that was designed especially for you.One of our goals, since the beginning, was to develop in all directions. We aim for everyone to experience the side of the game they enjoy the most to its fullest. Being it the leveling phase or what follows afterwards, we managed to improve the quality of the game in every aspect. On top of that, all the role playing*players or communities wishing to adhere are*more than welcome; You will find in us all the extra support needed for an enhancing experience. While we tried to fit all our thoughts and vision in this post, it would have been inhuman if we really managed to perfectly cover all the aspects. At this point, we would love to provide any additional insight you might want and to connect with like-minded people, in order to start a community based on trust, reciprocity and a common passion.